Sized to fit most homes and small businesses. Designed to fit 3/4″ water supply lines. The unit is engineered for flow rates typical for this size pipe. Designed to fit 1″ water supply lines. The unit is engineered for flow rates typical for this size pipe. Please note: If you have a 3/4″ supply line and want to upgrade to the 1″ pipe size, of course you may do so. This is a larger capacity system. If you have a pool or irrigation system on your home water system and it’s not separate, then it is best to go with the larger 1″ system. If your pool is on a different line than your home, you might consider an additional Water’s Edge System to receive the benefits of structured water in your pool. Any questions please call: 888.800.3012 x102. Made in America. Installation instructions and warranty information are available here. Effective to reduce chlorine taste, odor. Low pressure drop, high dirt holding capacity, durable physical strength and steady flow to achieve reliable performance and long life useage. Cartridges are manufactured in compliance with NSF and FDA requirement in material and processing. Applications serve residential, commercial and industrial range. 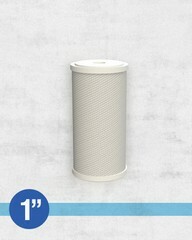 Carbon Block Filters 10" x 2 1/2" 5 Micron. 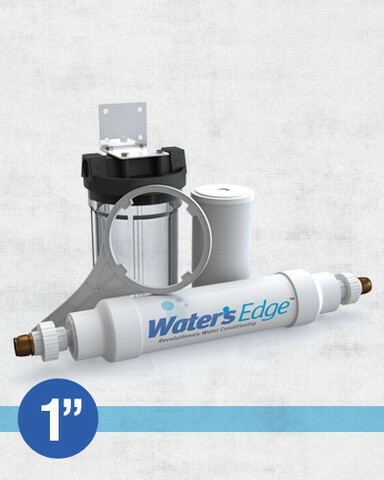 To be used with heavy duty 3/4″ filter housing and 3/4″ Water’s Edge Whole House Systems. We are keeping our prices low to benefit our customers. At other retail environments this filter would cost $24.99. 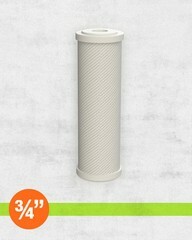 Carbon Block Filters 10" x 4 1/4" 5 Micron. 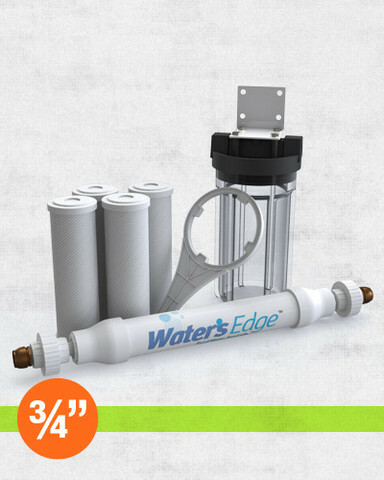 To be used with heavy duty 1″ filter housing and 1″ Water’s Edge Whole House Systems. We are keeping our prices low to benefit our customers. At other retail environments this filter would cost $49.99.